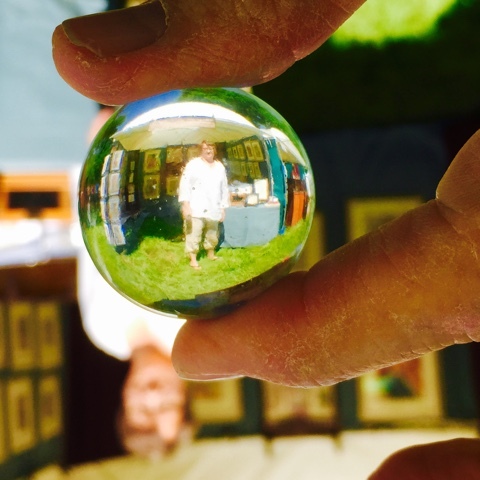 While traveling for my three week art show circuit, I discovered a small, clear, glass marble at the Ogden, UT art show. I had been wanting to find one for a long time. 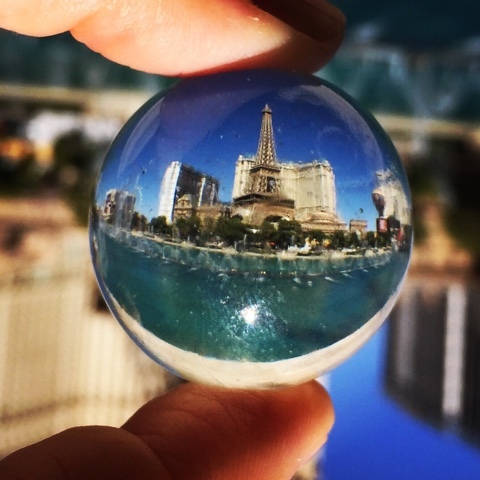 I've seen different Instagram photos taken thru a similar marble and wanted to give it a try. When you spend 8 to 10 hours sitting in a tent waiting for customers it can be entertaining to have something to play with. Sometimes art show crowds swarm around you but other times are extremely slow. 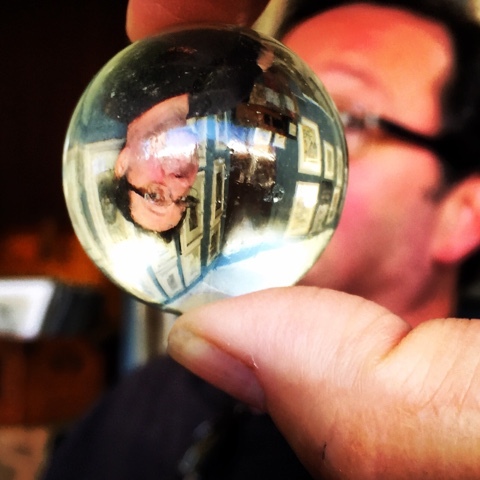 My husband found the whole obsession with taking iPhone photos thru a marble to be pretty silly but he was still a good sport. The trick of making it work is to get the camera to focus on the image in the marble and not on the subject behind it. 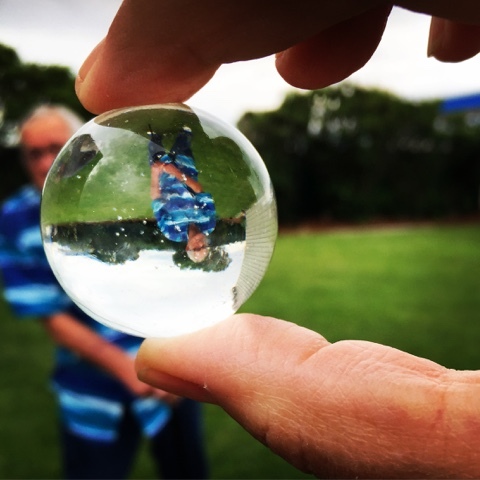 I loved these two pictures with my subject (in this case, my father-in-law) peaking around the side of the marble. 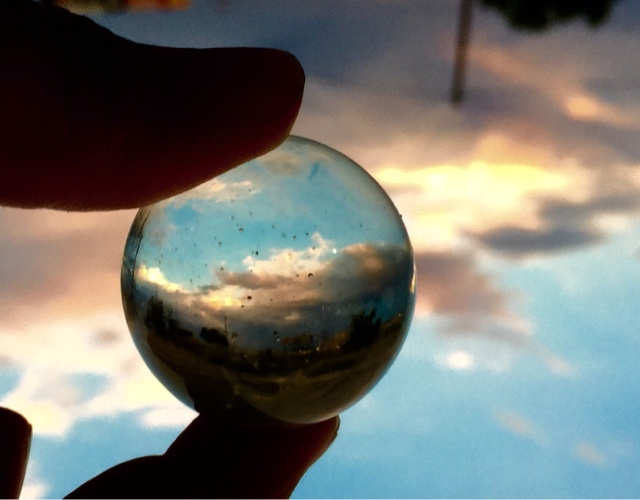 I took this photo while we met our family in Utah for a few days of digging for fossils and geodes. 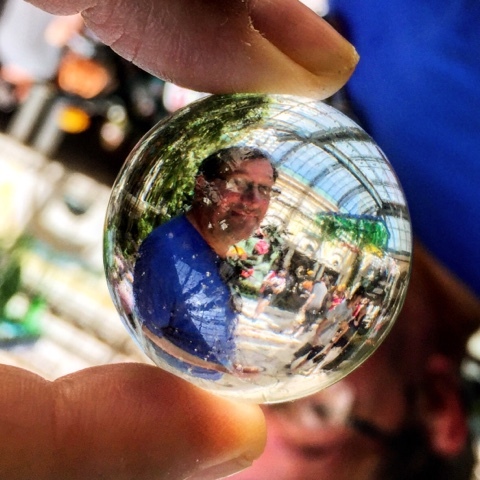 This is a shot of my husband in the Botanical garden inside the Bellagio. 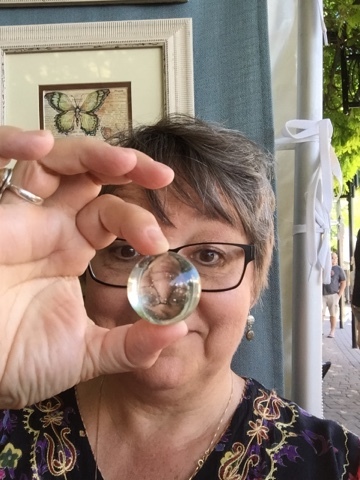 My husband decided it was his turn to try so here is his first attempt at capturing me in my art booth through the marble. I must admit - the marble adds a few pounds. 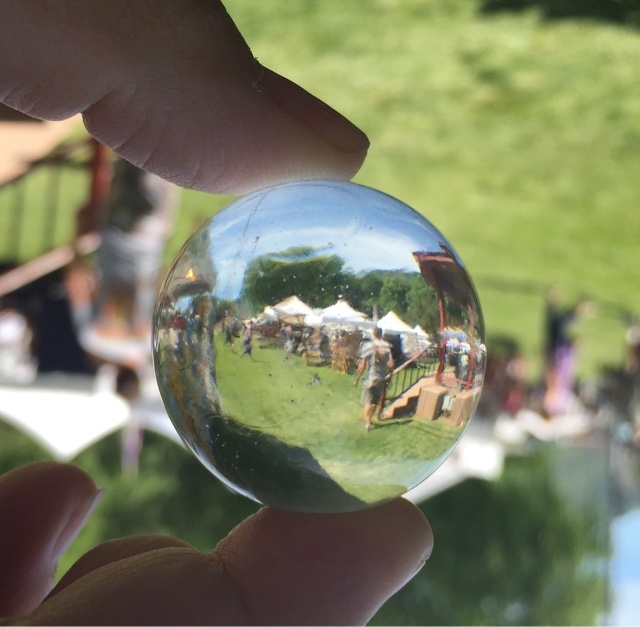 Here's a shot of the art show tents at our show in Glenwood Springs, Colorado. 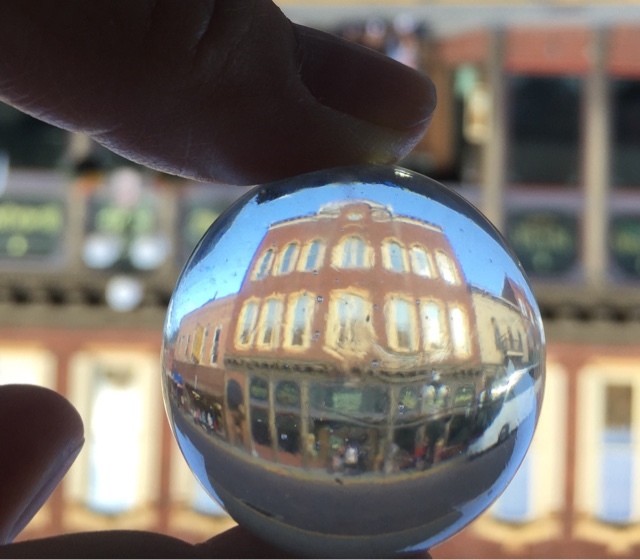 Here's a cool, fisheye photo of the Bullock building in downtown Deadwood, SD. 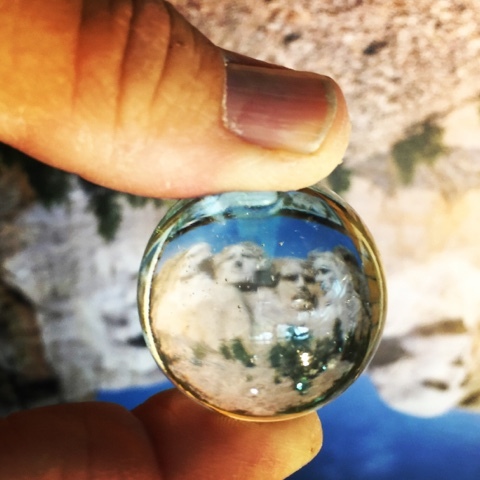 It was quite the trick to capture Mount Rushmore in the marble. 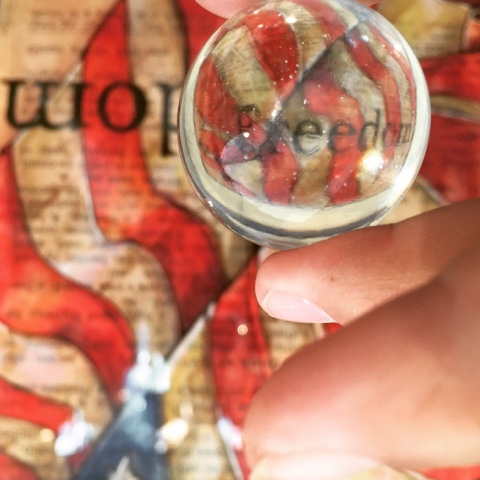 Finally I decided to get a photo of my dictionary drawings in the marble. We had a beautiful sunset in Casper, WY just before we headed for home. these photos are marvelous! looks like you had a fantastic trip!